If you want to make money online from Nigeria, here are 4 things you must know and do. A lot of Nigerians still doubt that it is possible to make money online. They believe so because they are not able to register with PayPal and ClickBank oblivious of the fact that ClickBank and PayPal accounts are not the answer. I am living proof that it is possible. For 2 years online I have learned and seen that it is possible. I have made money from Google Adsense (something I don’t really recommend now) and money on Amazon.com (don’t worry it wasn’t $1000, I don’t make stupid claims I can’t prove). Bottom line is – it is possible. This is important because Nigerians need to change their mindsets from that of negativity and from worrying too much about PayPal and ClickBank. Everything happening online has one common denominator-speed. E-mail is fast, web sites and blogs can be created in minutes, search is fast and all sort of trends come and go with real speed online..
Making money online does not just happen like that. I know you have probably read emails copies and adverts on some newspapers (like success digest Extra) on how you can make $5000 in one moth. It is possible but most of them are all lies and scams. If you are the get rich quick kind of person who does not want to do any kind of work to make money, then you will keep wondering the internet and be victims of thieves parading themselves as gurus and marketers. Ripping you of you hard earned money. 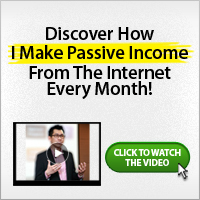 Making money online is not a get rich quick scheme. Now this sound very contradictory and ironic. You are actually reading a blog or blog post about how to make money online from Nigeria from a Nigerian blog and I am saying don’t do it. Many Nigerians who want to start a blog or website immediately think that “a make money online blog” or a “blog about blogging” is the answer. I made that mistake too when I started my Nigerian online business blog but I later changed it and now have a definite purpose for that blog. You can only make impact in these niches, if you have something to say. Something unique to say. Starting a blog or website or blogging about how to make money online or blogging will not just make you money online-unless you bring something new to the table. Making money online whether you are a Nigerian or a Martian is all about one thing and one thing only. And no business is done without an exchange of money (or something valuable). In other words, if you are not selling something and people are not buying, you will not make money online. Read that again. It is a very very important. Put our mind into studying and learning these things, then concentrate on building a business based activity online. There are many other things we need to know but i hope you found this helpful. Mk Akan is a Nigerian blogger and online entrepreneur. He owns several blogs and niche site where he discusses How to Make Money Online from Nigeria. You welcome David. You can still find more educational posts here. It is a common mistake that any one starting out should avoid .blogs dont make money but what you do with the blog is what makes money. @Chuks… Thanks for your comment. Same here too. I talk about anyting related to making money online legitimately because I need to help people know what is right from what is wrong.